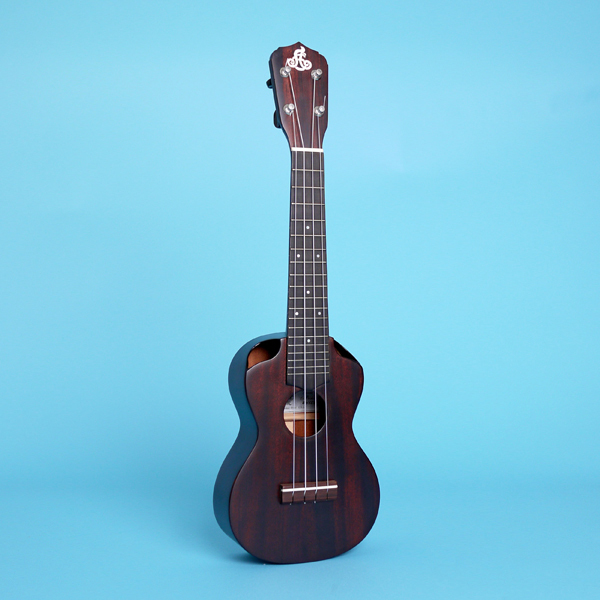 This custom semi-acoustic ukulele is perfect for quick plug-and-play electronically or acoustically. Professional Grover Mini Rotomatics machine tuners. 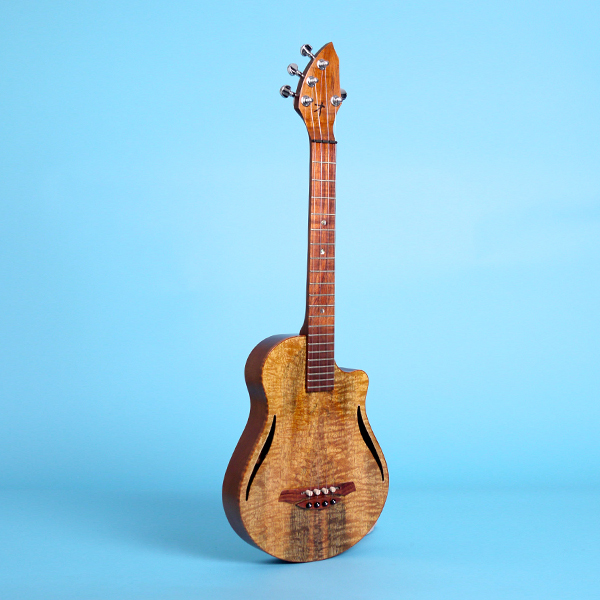 Curly Maple wood top binding make for an extremely aesthetically pleasing design.